Manchester United could be in luck as long-time transfer target Renato Sanches has opened the door to a transfer away from Bayern Munich. The 21-year-old has long looked like one of the most promising young players in the game, having broken through at Benfica before his big move to Bayern. However, it’s just not happened for Sanches at the Allianz Arena, while he also struggled in a loan spell at Swansea City last season. Still, the former Golden Boy winner has shown plenty of potential and could perhaps just do with a fresh start at another big club, with Man Utd still supposedly keeping tabs on him, as is suggested in this report from the Sun. 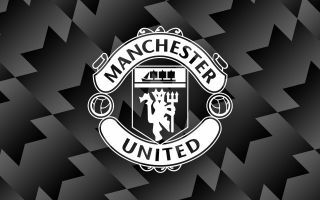 United could certainly do with signings in midfield as upgrades on the likes of Nemanja Matic and Fred, and Sanches could be a gamble worth taking as he may now be available for relatively cheap. You probably won’t get great odds now on Sanches leaving the Allianz Arena, but Bet365 bonus codes could still help you pocket a decent amount if you fancy predicting his next destination. Expect more Sanches to United rumours to resurface this summer as an exit from Bayern looks almost certain for the midfield misfit. MUFC have also been linked strongly with Paris Saint-Germain contract rebel Adrien Rabiot as a new signing in that area of the pitch seems likely to be a priority for the club ahead of next season. The France international will be available on a free as he nears the end of his PSG contract, so he’ll surely have a long list of suitors ahead of the summer. Both midfielders seem ideally suited for what the Red Devils need right now as Ole Gunnar Solskjaer’s side remains some way off competing with the likes of Liverpool and Manchester City. Fans will surely be hoping to see one or both of these names make their way to Old Trafford this summer in what could generally be a busy close-season for the club as they’re also linked with the likes of Jadon Sancho and Kostas Manolas.